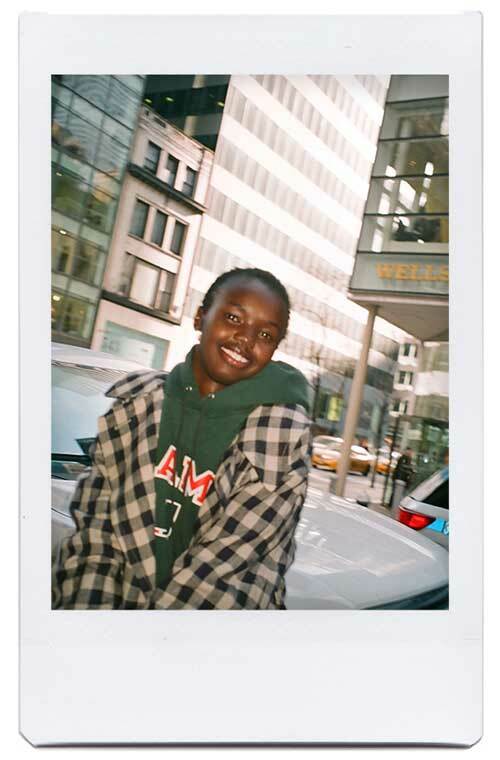 Prepare your eyeballs for a tidal wave of adorable content, because that’s exactly what awaits you in the gallery above. 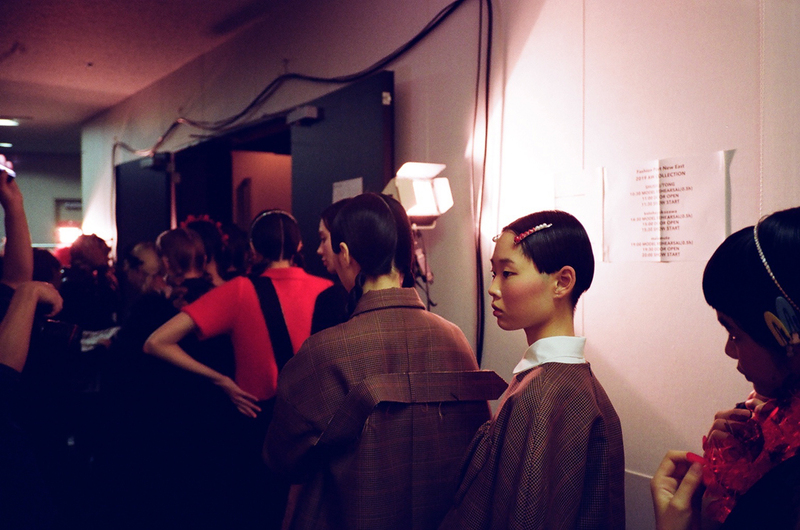 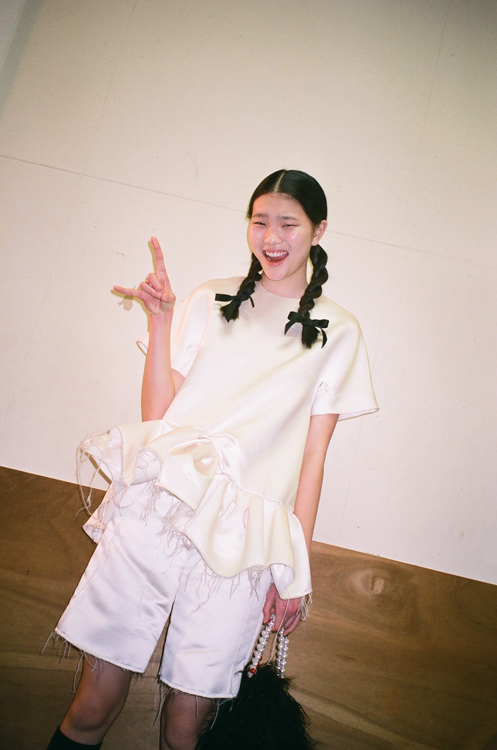 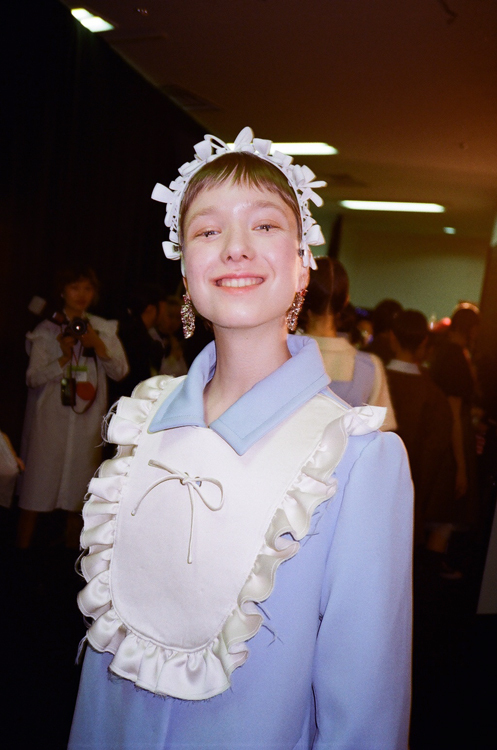 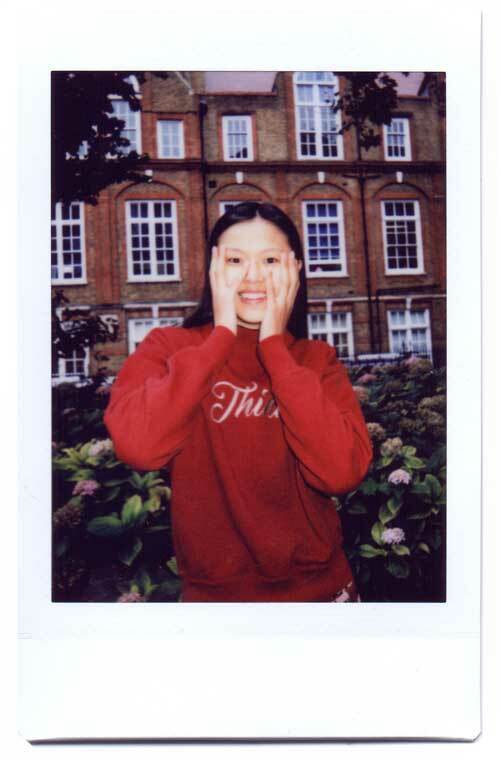 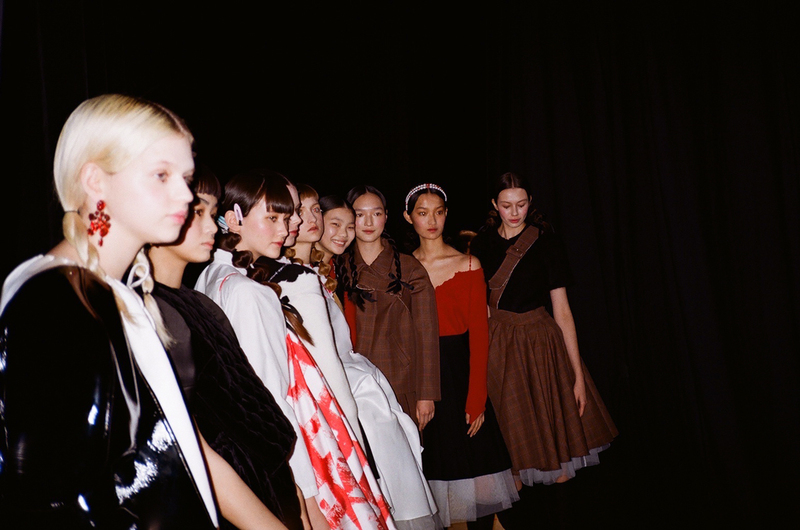 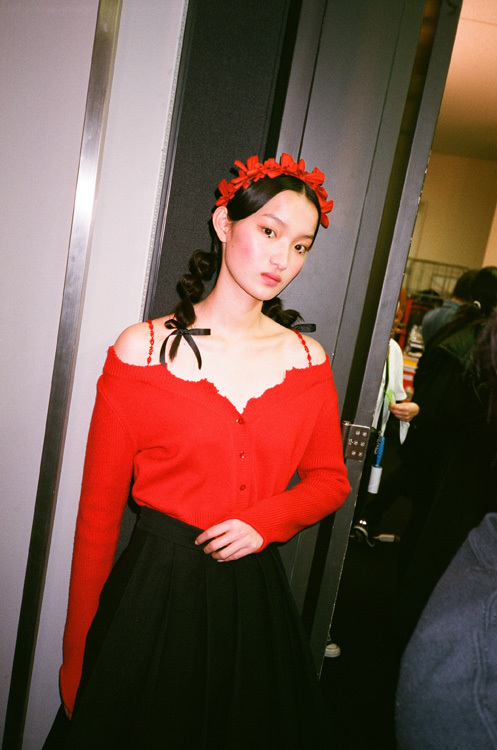 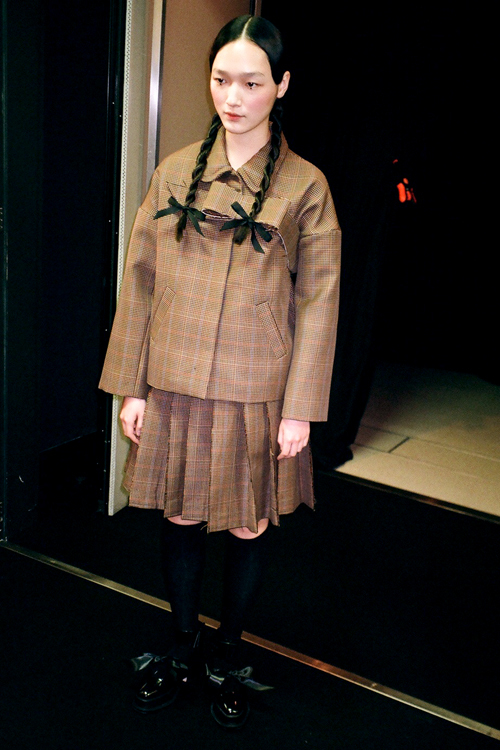 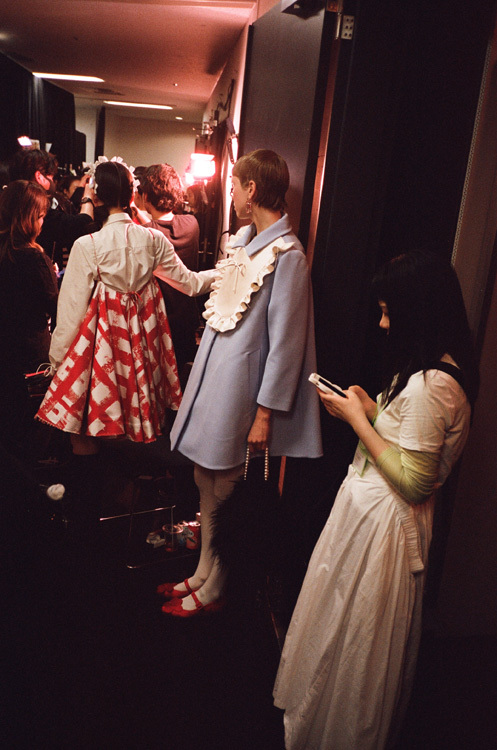 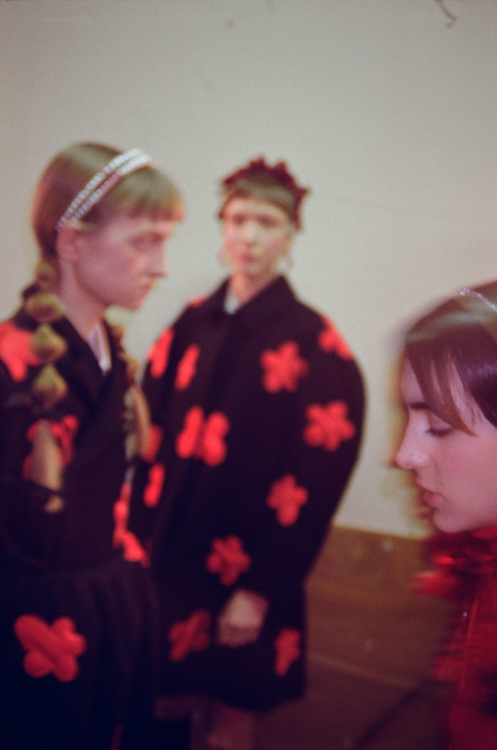 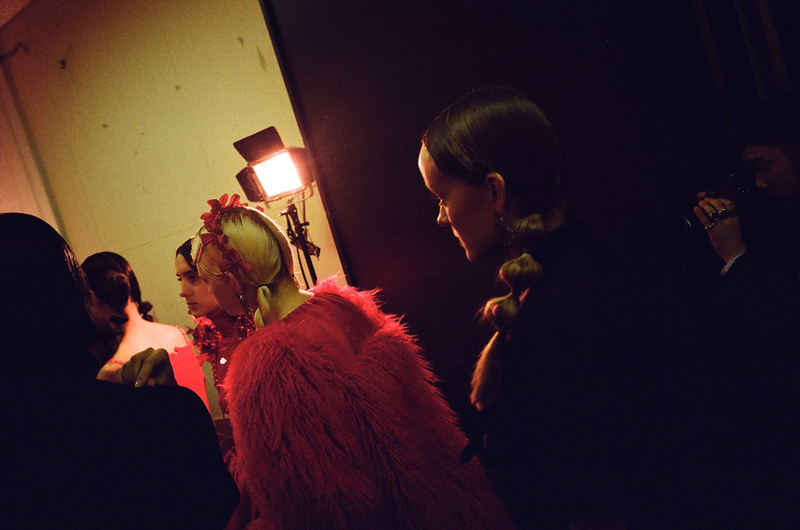 We had the joy of going backstage at Shanghai-based label Shushu/Tong’s show in Tokyo this week with our trusty camera in tow, where we were greeted with a lovely bunch of humans dressed up in some seriously cute clothes. 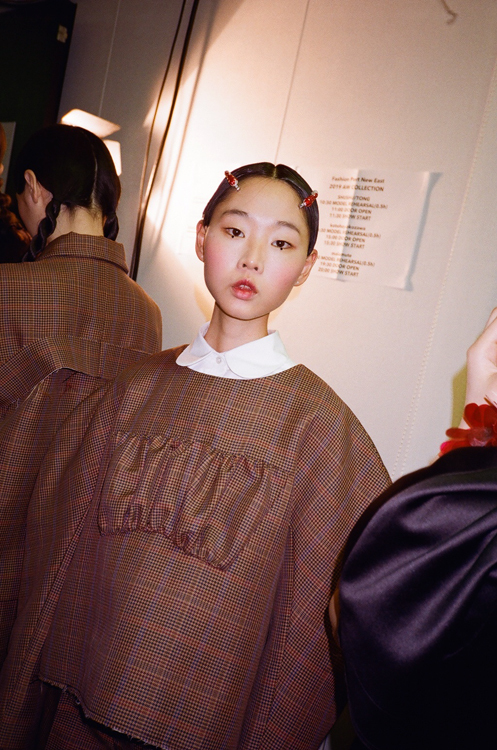 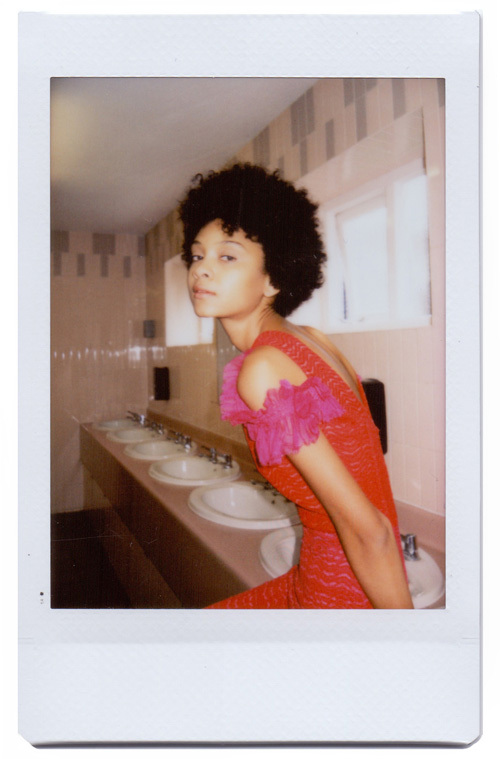 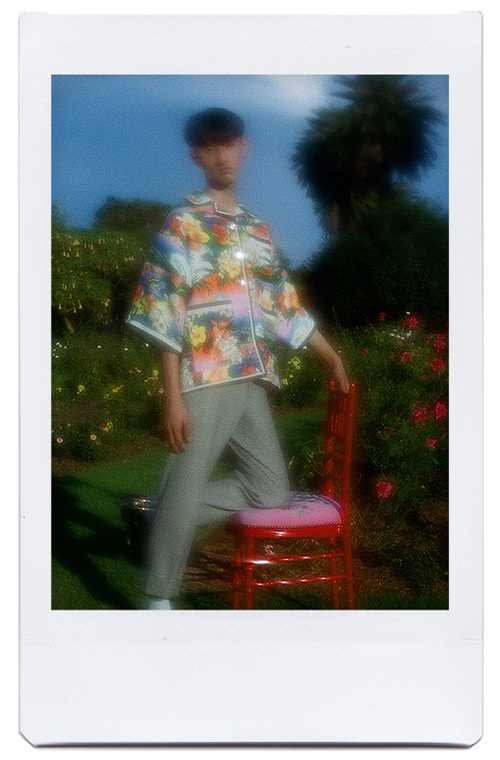 The duo behind the label cite anime as one of their main sources of inspiration, and it def shows in their ultra-girly yet flawlessly tailored collection. 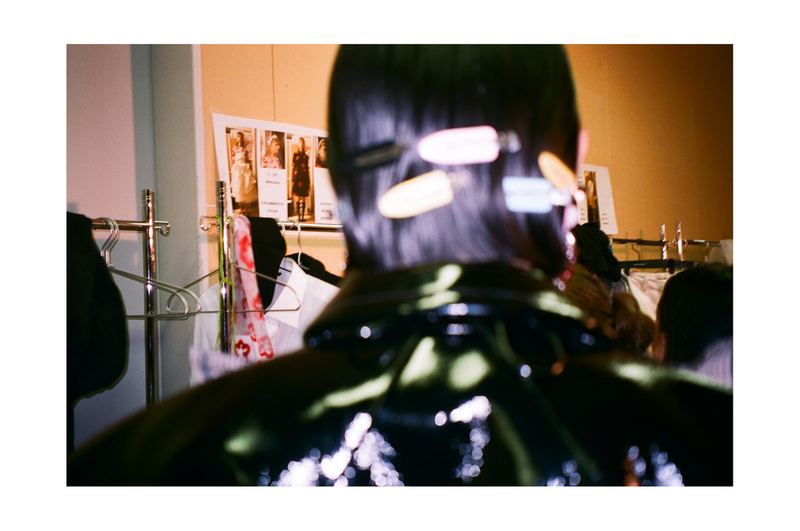 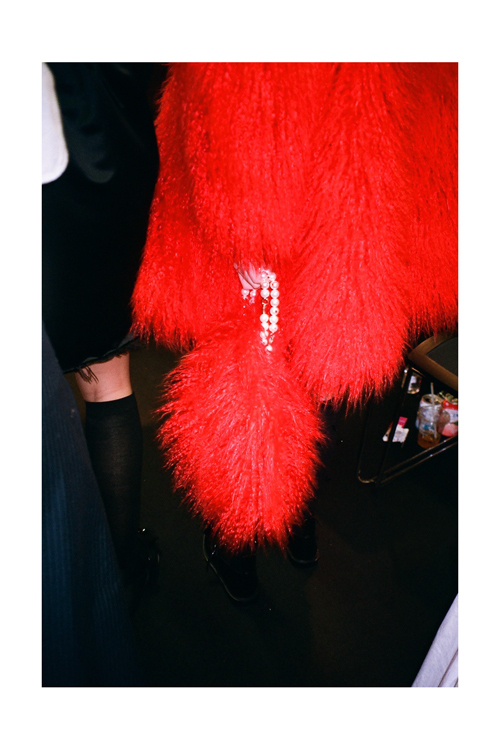 There was beaded hair accessories, saccharine braids, ribbons, tulle and buckle shoes, mixed in with spray painted stockings, knee-high socks, glorious amounts of pleather and many a ruffle. 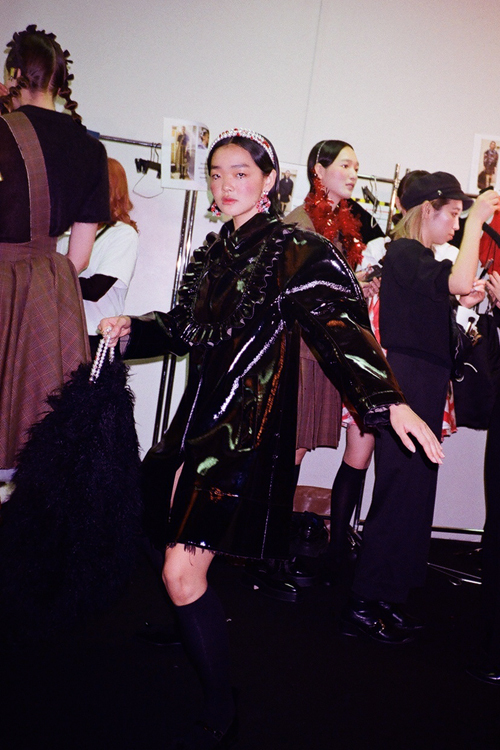 New pals Mei and Sai were there to do the clothes justice, alongside a crew of other professionally good-looking peeps, and excuse us while we sit back and daydream of a new and improved wardrobe that comprises exclusively of Shushu/Tong.